Modern Quilting by B: My Tartan Quilt is in Modern Patchwork Winter 2016 and in my Shop! My Tartan Quilt is in Modern Patchwork Winter 2016 and in my Shop! 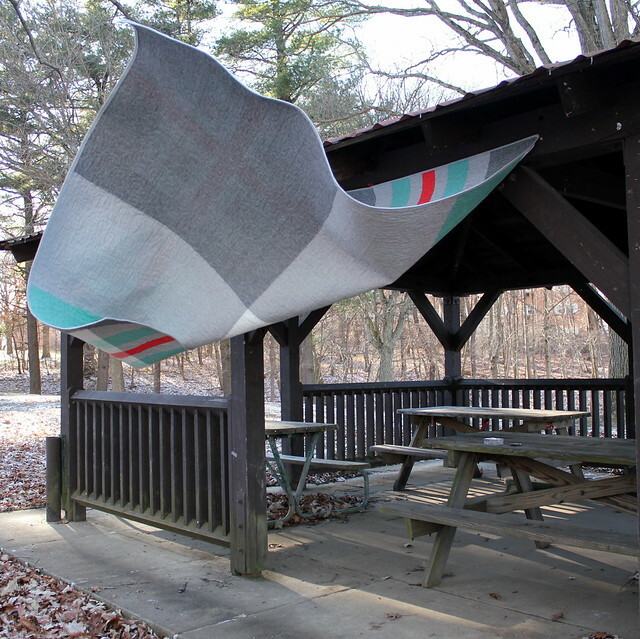 Once again, the fine editors at Modern Patchwork have included one of my quilts in their publication. This time, it is the Winter 2016 edition; this time it is my Tartan quilt. This Tartan quilt measures 81" x 81" and goes together very quickly as strip piecing is the technique used for making the quilt top. The magazine includes instructions for making the complete quilt, both the top and the back; yardage requirements are also provided. The key to making a successful Tartan quilt is in selecting colors colors that complement one another, and then in selecting a range of values (lights and darks) of those colors. It is the proper placement of these lights and darks that give this quilt its plaid appearance. For this quilt, I used Robert Kaufman's Kona Cotton Solids and Essex Yarn Dyed Linens. The linen provides a nice heft for a winter quilt. 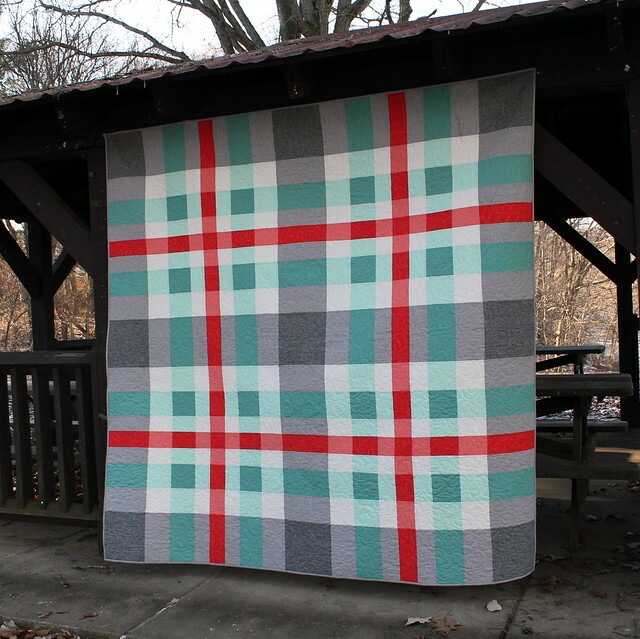 The wind provided a sneak peek of the back of the quilt, which is a simple, enlarged section of the plaid. Time to get cozy! 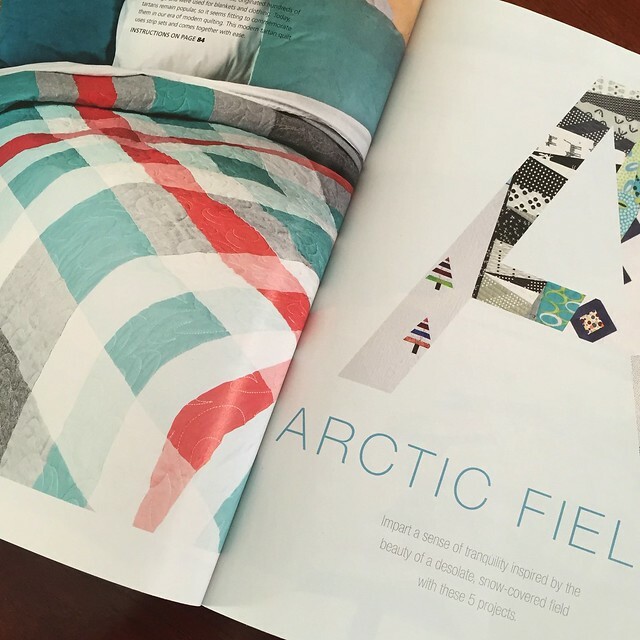 I loved this quilt as soon as I cracked open the magazine! Bravo!! This is super fun! Perfect colors! I spotted this on flickr and had to have more :) well done! Which publication is this in? I love this! Perfect for a guy!!! Where can you buy the pattern? Hello all! This pattern is now available in my Big Cartel shop, there is a shop link on the right. It is also available through Craftsy. Thank you!